Our Half Day Summer Camp allows younger campers to scale our walls, develop positive traits like character and confidence, and experience lots of excitement and adventure. Weekly activities include top rope climbing, bouldering, and skill lessons. During weeklong camps, campers enjoy mornings of climbing, games, and instruction. Afternoons are filled with our themed educational segment, “Beyond the Climb.” Camp themes rotate each week – covering anything from science, to travel, to outdoor cooking- ensuring fresh experiences every week! 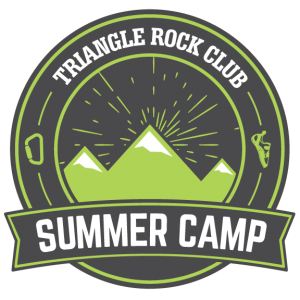 Come join us at Triangle Rock Club for a chance to learn the fundamentals of indoor climbing. We will explore the outdoors as well with field trips such as climbing at a local crag, hiking, and more! 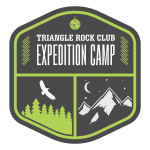 Expedition Camp is designed to strengthen older climbers’ abilities through days packed with climbing.